Select the Proper Shovel: A lightweight shovel with a long handle is best. Ergonomic shovels with a contoured handle are a good option, as our push-style shovels, however they should not be used to throw snow. 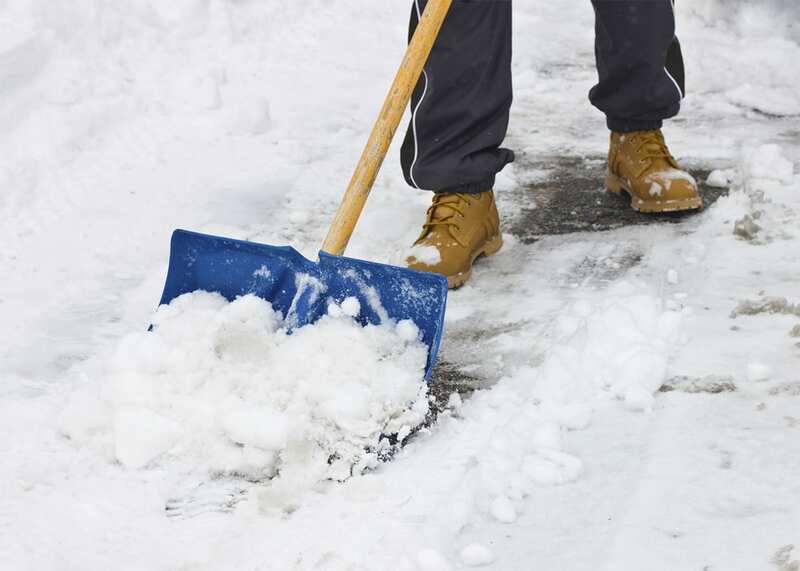 Take it Easy: While it may not seem like it, shoveling is actually a high-level activity. Your body is more than likely no used to the motion used in throwing snow, so keep a nice, steady pace and take frequent breaks. Form is Everything: Start with a wide base with your feet shoulder-width apart. Bend your knees, keep your back straight and shovel in the direction of your front foot. Lift with your legs, not your back. Don’t Overdo It: Just one overloaded shovel full is enough to strain your back, so take manageable scoops of snow. Throw the snow in the direction of your front foot in order to avoid any twisting motion of your spine. Stay Active: While you may want to avoid activity, that can actually makes matter worse. Resting for more than 24 hours after a back injury can make your recovery worse. Maintain a proper, upright posture, and keep moving! Ice & Heat: Apply ice to the injured area of your back for the first 24 hours, then you can safely use heat to relieve the pain. Keep Moving: Inactivity can lead to increased pain and will cause your muscles to tighten and spasm. Keep moving even though the couch is calling your name! If you experience immobilizing back pain, shortness of breathe or chest pain, visit the emergency department as it may be a sign of a more serious problem. If your back pain persists after a few days, call us! The experienced physical therapists at Makovicka Physical Therapy can evaluate your symptoms and develop a plan to manage your pain. Our approach may include soft tissue and spinal mobilization techniques. We will teach you stretches that will speed up recovery and reduce pain. A key element of your treatment will be exercises to improve core strength and flexibility to help avoid future back pain. Delaying your treatment of a back injury can worsen the pain and prolong your recovery, so call one of our convenient locations right away. We can see you within 24 hours so you can get back to enjoying the winter weather!